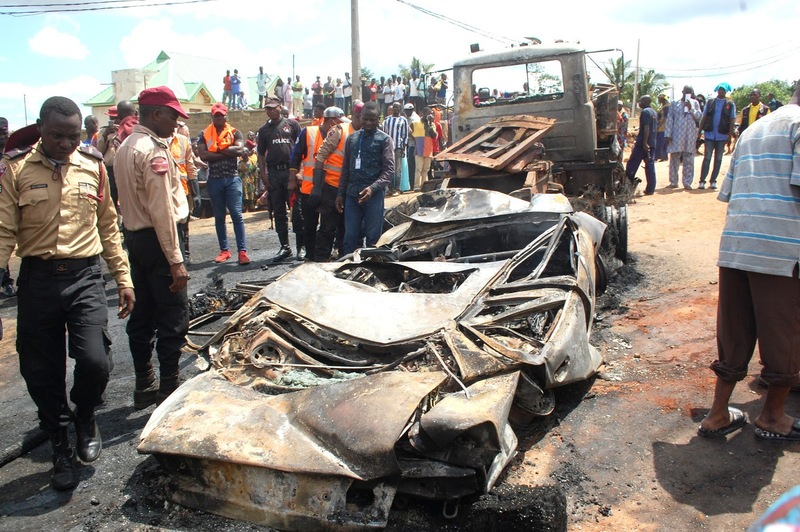 A 33,000 litre diesel tanker fell on a Nissan car that was being drove by a unknown woman at Eleyele-Ologun Eru-Eruwa Road in Ibadan. The tanker and car where burnt to ashes and there was no way to rescue the woman from this unfortunate incident. FRSC were present, but they could not also intervene. The identity of the woman is yet to be discovered.